We are a non-profit, 501(c)3 company that provides employment and training opportunities for young, inner city, Brooklynites. We give youth the chance to become entrepreneurs themselves, learn how to run a business and harness their artistic skills as a trade. Reconnect Graphics is a Screen Printing company. We provide high quality custom apparel and graphic solutions from our young artists to businesses, big or small. From T-shirts, Sweatshirts, bags, and much more. Student volunteers from Cornell worked with a group of residents at MacCormick to design, market, and sell T-shirts, emphasizing teamwork and entrepreneurial skill building throughout the process. The T-shirts were printed by Reconnect Graphics, and are available for purchase at Reconnect Café and Cornell University. 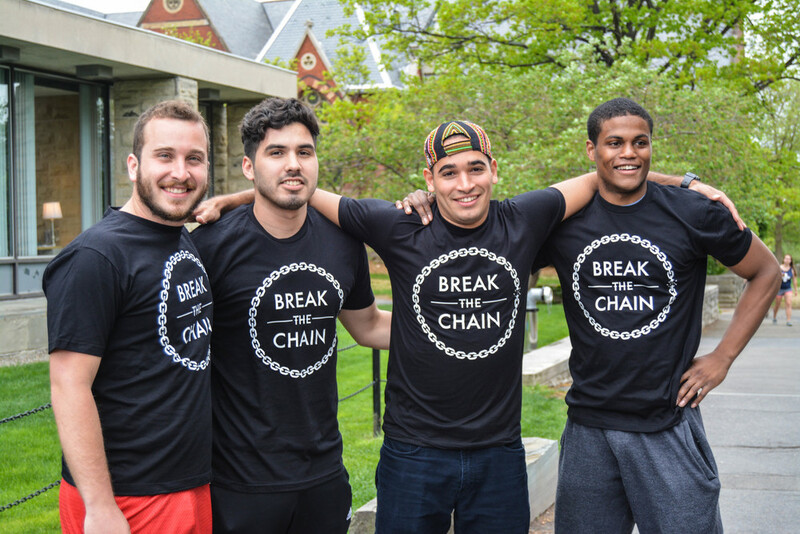 The slogan “Break the Chain” was chosen by the residents at MacCormick. It symbolizes their determination to end the cycle of re-incarceration and to challenge negative stereotypes against people with felony convictions.